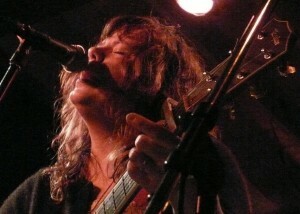 Susan Cowsill at Carrollton Station. Photo by Barry Yeoman. Sweet Home New Orleans—a relief organization that serves as a lifeline to many of the city’s musicians, Mardi Gras Indians, and Social & Pleasure Club members—has just released its annual State of the New Orleans Music Community Report. You can download and read it here. SHNO published the report this morning, using its 4,500 clients to provide insights into the well-being of the city’s famed music community. There’s good news: Despite fears about the storm’s impact on neighborhood-based institutions such as Mardi Gras Indians and the second-line community, those groups are back to pre-Katrina levels of activity. Musicians, on the other hand, have experienced a drop in the average number of gigs from 12 to six in a month, and earnings are down 43% to a ballpark income of $15,000 per year. Hardest hit have been older musicians and those reliant on tourists for their livelihood, whether on Bourbon Street, riverboats or convention-related gigs. Saxophone player Elliot “Stackman” Callier played with Ray Charles and Fats Domino, and he appears on many classic R&B recordings, including Lee Dorsey’s “Working in a Coal Mine.” His resume hasn’t insulated him from the economic downturn, though. “I have to take anything that almost makes good sense to play,” he says. Callier’s doubly affected by the economy. For years, he made his living as a touring musician in a horn section, but the business doesn’t sustain many bands that size, so he does what he can in New Orleans, playing once or twice a month. Some of those gigs include Children’s Hospital and retirement homes—dates arranged by the Jazz Foundation of America to help employ musicians. Five years after Hurricane Katrina and the levee failures, New Orleans music and culture has proven to be a powerful agent of the city’s renewal. Supporting these traditions and the men and women who perpetuate them can continue to improve the quality of life in New Orleans. However, the confluence of the flood, the Great Recession, and now the oil spill has created an economic crisis for these communities, especially for professional musicians. Investing in the cultural economy of New Orleans is vital to the city’s future.